If you are looking for additional items to maximize the efficiency of your grain storage, Flaman has accessory options for you. 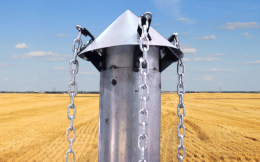 We offer a selection of grain bin accessories to help improve the organization and safety of your grain storage operation. Organizing your bin yard is simple with movable and durable magnetic bin labels. 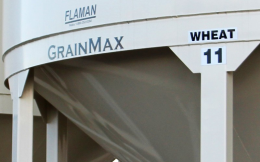 Flaman offers labels many commodities such as barley, canola, lentils, wheat, fertilizer and more, as well as numbers for multiple bins filled with the same grain. 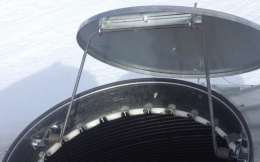 Grain air tubes are also available and can be used in sheds, flat and hopper bins, quonsets and grain piles to aerate all seed varieties without the need for power. The tubes come in two, three or four telescoping sections, with each section being 8’ long to accommodate a variety of sized bins. Interested in a safer option for monitoring the level of grain in your bins? We have product that will eliminate the need or bin climbing and will save you time and money by preventing overfilling. Flaman also provides replacement bin lids. 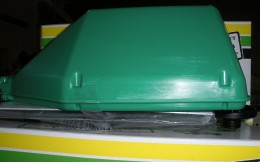 We can retrofit your existing bins with a remote lid opener for added convenience. Whatever you’re looking for, Flaman can help. We offer an extensive selection of grain storage solutions for you to choose from. With a combined total of well over 100 years experience between our team of farm sales experts, located at our 9 dealerships across Western Canada, we are sure to find equipment to best suit the needs of your farm.